Vintage Hollywood Boulevard Photos | Photographs of Hollywood Blvd. This vintage photos was taken in 1900 and shows the E.C. Hurd residence on the northwest corner of Prospect Ave. & Wilcox Ave. 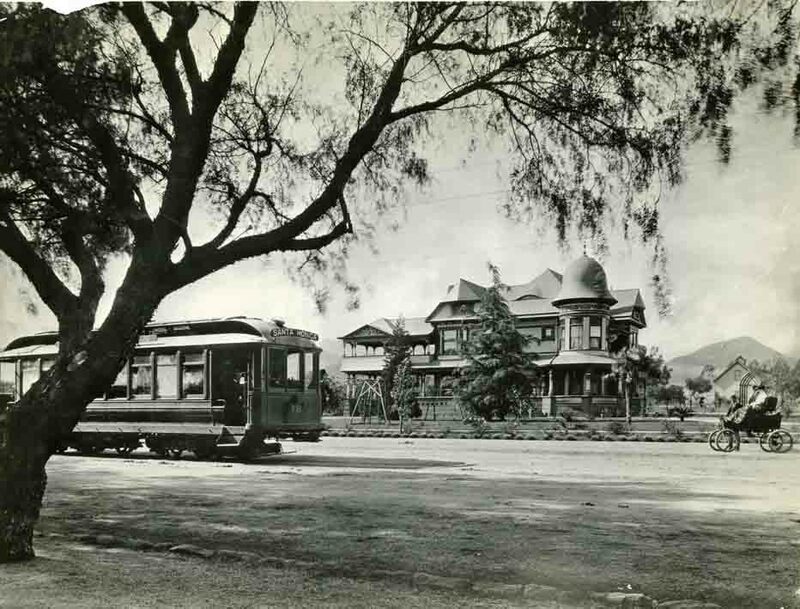 Prospect Ave. (now Hollywood Blvd.) was lined with pepper trees and was, almost, exclusively a residential street. From the hollywoodphotographs.com website. 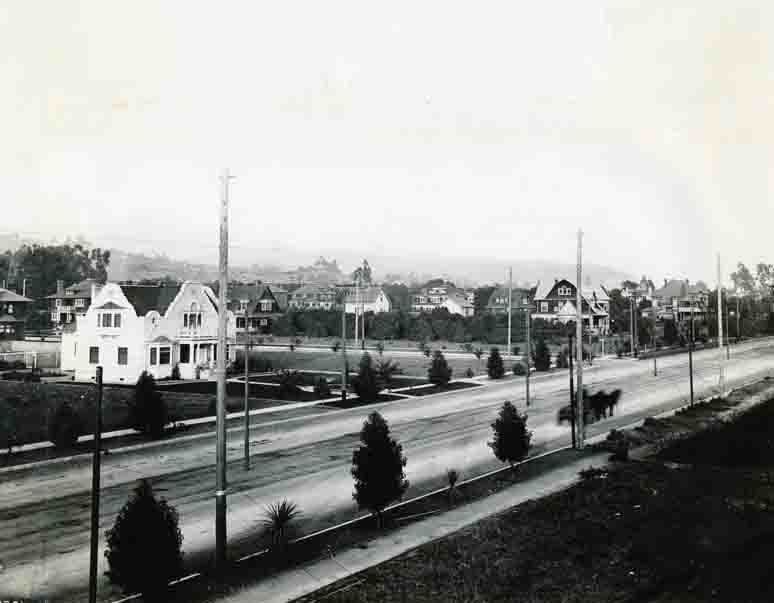 Until about 1915, Hollywood Boulevard was almost exclusively residential. This 1905 photo shows horses and wagon travelling east towards Whitley Ave. From the hollywoodphotographs.com website. Hollywood Blvd. began to experience a transition from a residential to a stree lined with commercial buildings. 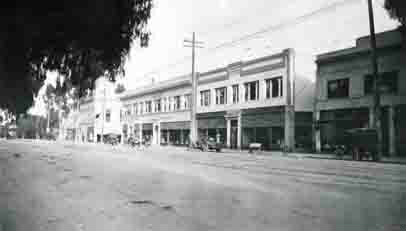 In the beginning, the only commercial buildings on Hollywood Blvd. were near Cahuenga Ave. and, also, Highland Ave. 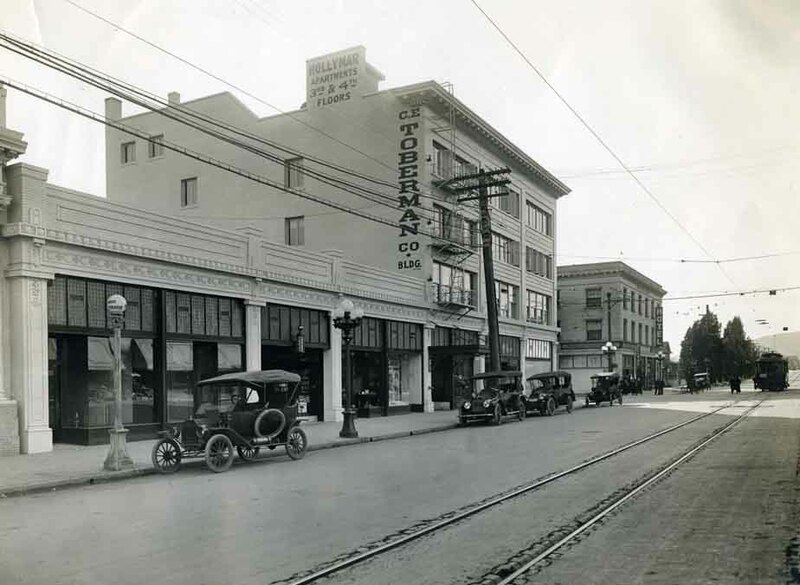 This rare vintage 1916 photos is looking east on Hollywood Blvd, towards Cahuenga Ave. From the hollywoodphotographs.com website. This vintage Hollywood Blvd. 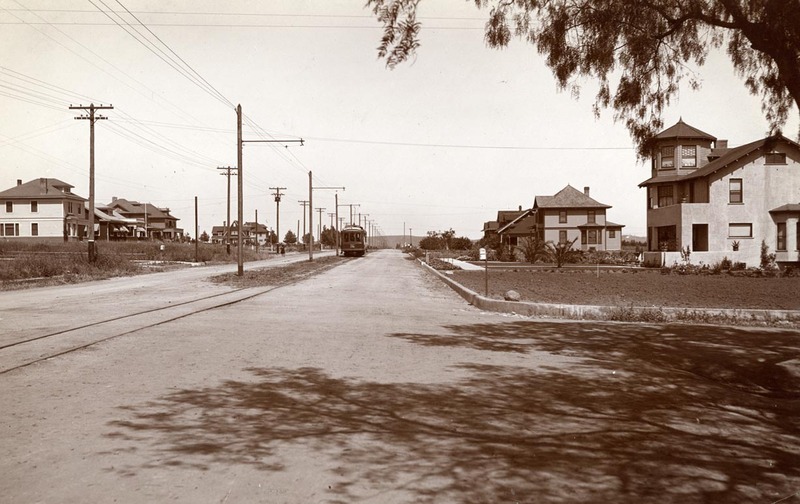 photos is looking west towards Highland Ave. in 1916. The four story building was built by my grandfather, Charles E. Toberman. From the hollywoodphotographs.com website.